Hotel Nazionale is located in the beautiful, historic center of Florence - only 300 meters from the main train station and 200 meters from the Congress Center and the Fortezza da Basso and Palazzo dei Congressi. 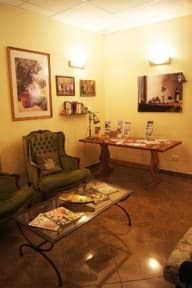 The Hotel consists of 18 beds divided in 7 rooms, all with private bathroom, air conditioning, .Some of the rooms offer a charming and unforgettable view of the Duomo of Florence. All are welcoming, quiet, comfortable and very clean. Breakfast is served from 8 to 9.30 a.m. This small but enchanting hotel is located on the second floor of a 16th century building, near the main monuments and restaurants .There's no elevator. Many sights are within walking distance, such as Piazza della Signoria and Uffizi. Public transportation is also within walking distance. 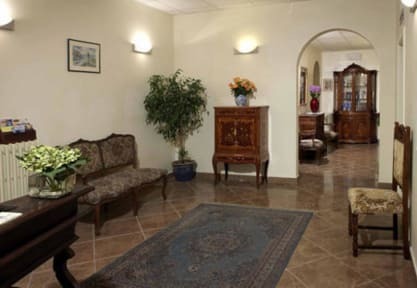 The efficiency, the hospitality and the devotion of the family management of the hotel will be at your disposal to make your stay in Florence as pleasant as possible. The Hotel Nazionale was completely renewed in 2007. If you require further directions please contact us. Check out 11am, breakfast not included. On the second floor, no elevator. Breakfast is available at an extra cost of 5 euro per day per person. Free WI FI access available in the common areas. Unbedint zu empfehlende Unterkunft mit bester Lage zu allen wichtigen Sehenswürdigkeiten. Sehr zuvorkomnene Gastgeber, sehr sauber, nur darf man sich vor den zwei Etagen zu Fuß nicht fürchten ;-) Bestempfehlung für Kulturreisende!